Disclaimer: I received both product and compensation in exchange for this post. However, as always, all opinions expressed are 100% my own; I only recommend products or services that I feel are beneficial to my readers and my family. 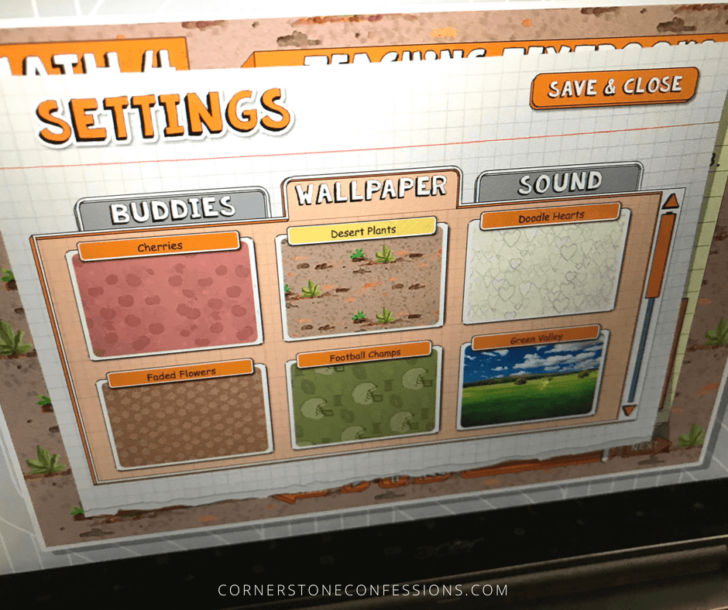 For more information on Cornerstone Confessions review policies, please see my full disclosure policy. I love math. In school it was one of my favorite subjects. I enjoyed the strategy of figuring out the answers and the joy of knowing there was always a right answer. As a young homeschool mom I enjoyed sitting down with my girls to work math problems in workbooks, but life with a baby changed all that. 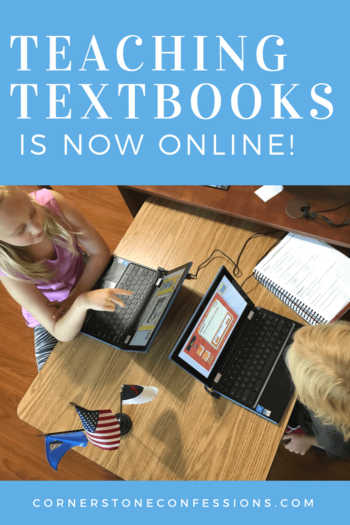 That is why I was excited to find Teaching Textbooks 3.0–it’s all online! Last school year we began with Teaching Textbooks 2.0 (the CD-Rom version). 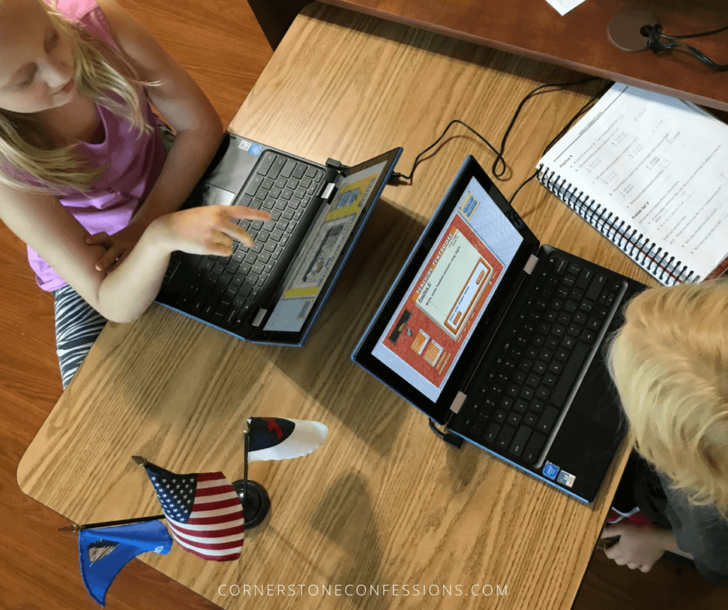 While my girls enjoyed it, getting math in was a constant juggle on our single computer. In addition, the CD-Rom version brought about other challenges–scratched CDs, having to call the company to obtain activation codes, and the limitation of having to use a single device. This year, however, each of those challenges are gone! 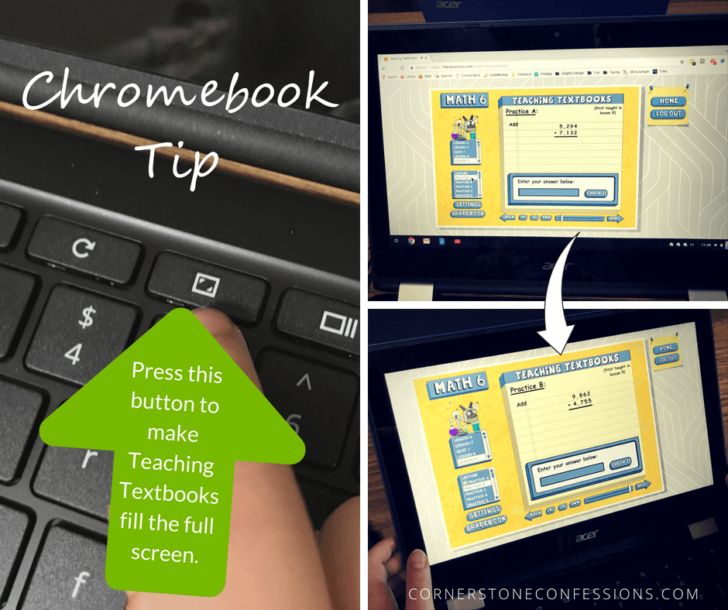 With Teaching Textbooks 3.0, we don’t have to worry about scratched CDs or a new activation code, and the girls can access their lessons from any internet-enabled device…like our new Chromebooks! They are loving it! Teaching Textbooks 3.0 currently offers 10 levels–Math 3 (aka 3rd grade math) through Pre-Calculus. 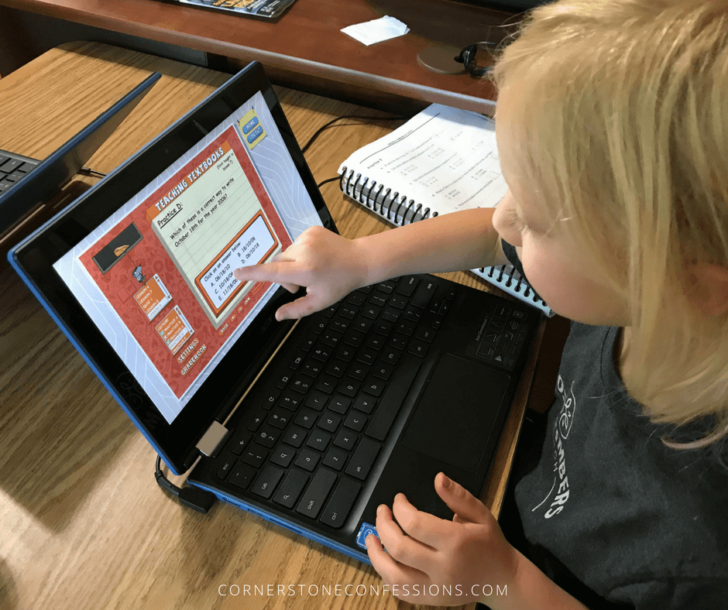 For those that start out using Singapore Math like we did, we found that the best time to switch to Math 3 was after Singapore Primary Math 2A. Math 3 introduces all four math facts tables so the pace picks up fairly quickly. Be sure to check out Teaching Textbook’s placement tests prior to ordering to know which level would best fit for your child. In addition to the regular features found in the 2.0 version, Teaching Textbooks 3.0 offers several new features that make the new online version even better than before. 1. 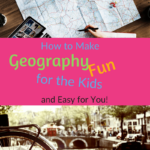 You can download and print the textbook. My middle daughter has some visual processing challenges that make the transfer of math problems from a computer to paper a challenge. Thus, having a written copy of what she is doing available for her is vital to her success. 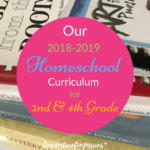 Since we already had the printed copy of the textbook for her Teaching Textbook grade level, she has used it alongside Teaching Textbooks 3.0, which matches perfectly. However, if we hadn’t had that option, we could have easily printed the workbook from the parent portal instead. 2. The background is customizable. There is something about customizing a background that makes doing math on the computer just that much more fun. 3. You can access both the parent and child account from any internet-enabled device. This means that we can all access math at the same time–on our computer, our Chromebooks, or iPad. We no longer have to be on our one computer for hours at a time. 4. The prices are tiered to better accommodate all family sizes. 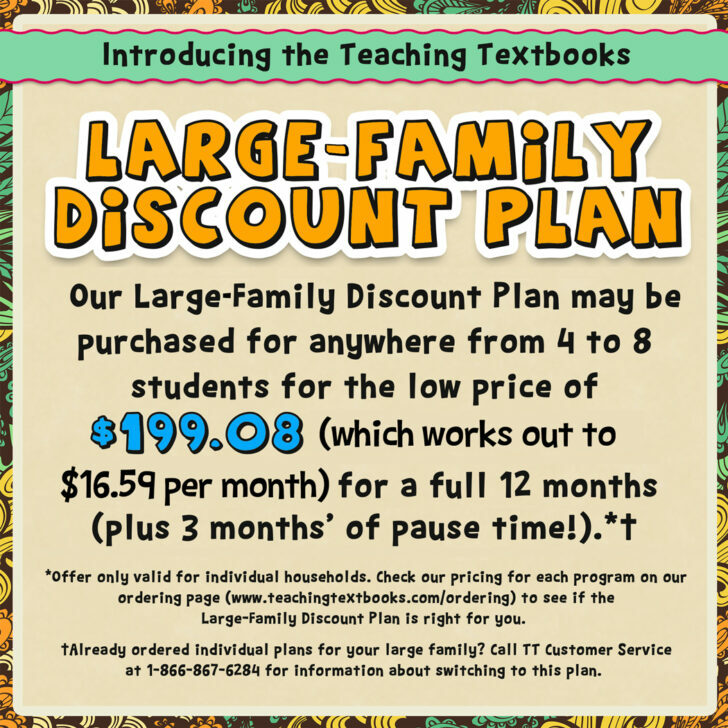 Teaching Textbooks 3.0 makes the curriculum more affordable for one child than the original purchase of the CD-Roms, and it also makes it more affordable for large families with a large family discount plan. 5. There are more parent-control options. 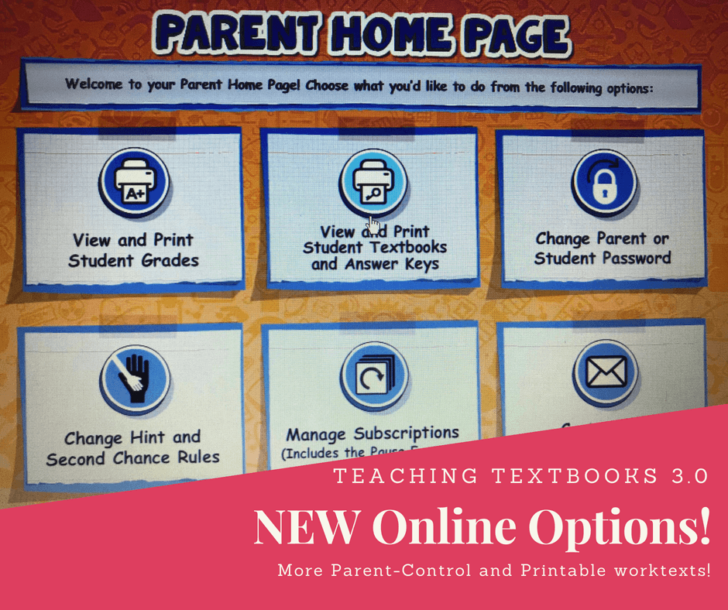 These controls let you edit how much the Teaching Textbooks instructor helps your child, let’s you update your subscription preferences, allows you to print worksheets and answer keys, and more! 6. Subscribers can pause their subscription. Going on vacation? Having a baby? Sick? Just taking a break from math for a bit? Parents can pause their subscription for up to 3 months thereby extending their annual subscription. While the subscription must be paused for a minimum of a week at a time, subscribers can pause and un-pause as often as 3 months allows. 7. The index of the textbook is included. This might sound silly considering the fact that Teaching Textbooks 3.0 is an online program but having access to the index of the eBook can actually be very helpful when a daughter forgets what an acute triangle is, for example. She can simply go to the index to quickly look up the lesson in which acute triangles were discussed and find the eBook page that she needs to review. 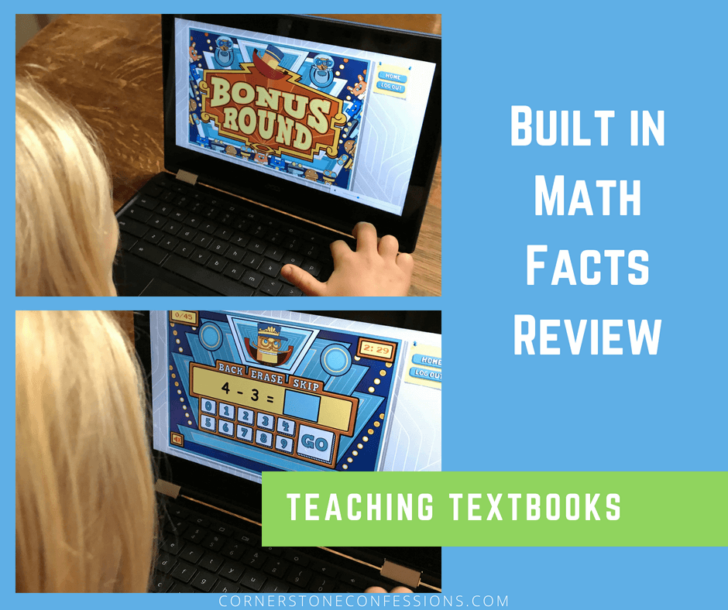 Of course there are still those favorite features of Teaching Textbooks that my daughters still enjoy from the 2.0 version including the fun buddies that encourage you along-the-way, hints to help solve challenging problems, the read aloud feature for ease of use, and the bonus activities that help with math facts review. All of this combined with the new features of Teaching Textbooks 3.0 are why we are excited about this year’s math curriculum. I think it is the first time BOTH of my school girls have said that they actually like math. I don’t know about you, but that’s a win in my book! Want to give Teaching Textbooks 3.0 a try? 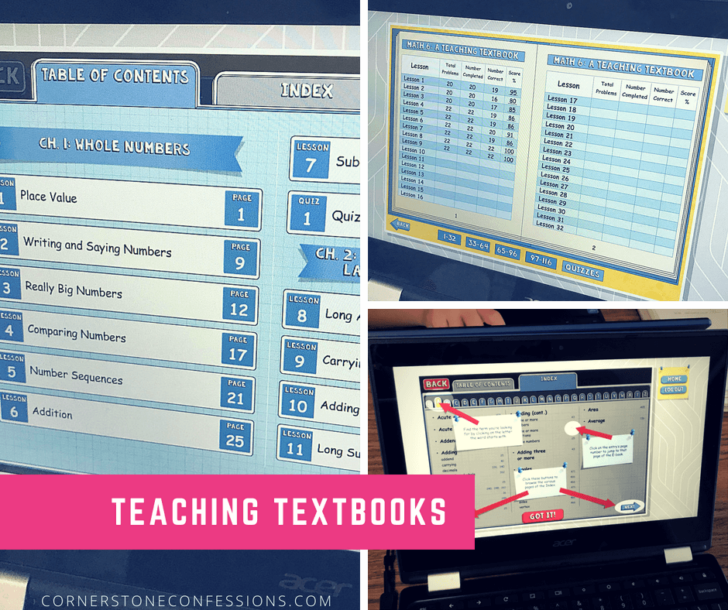 Visit Teaching Textbooks to try out any of their levels for FREE! Each 3.0 Free Trial is a complete version of their program up through Lesson 15 and the trial has NO expiration date! Visit their trial FAQs for more information or to get started. Want to win a one-year Teaching Textbooks 3.0 subscription? Enter via the rafflecopter below for your chance to win. What do YOU think of the new Teaching Textbooks 3.0? Share your thoughts with us on Facebook!